The USAP program has been assisting high-achieving, low-income students to access university education internationally since it was first started as a program of EducationUSA nearly 20 years ago. Rebecca Zeigler Mano founded USAP in Zimbabwe at the end of 1999 in response to a strong belief that there are many determined and talented, economically-disadvantaged students who lack only financial resources and access to information to better their educational futures. 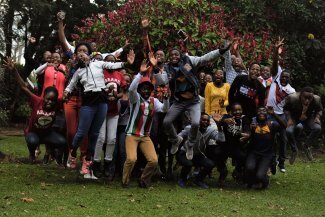 USAP students have consistently been selected for four key criteria: academic excellence, demonstrated leadership potential, an ethos of giving and economic disadvantage. 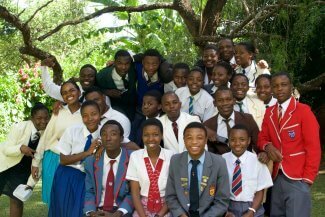 More than 15 years later, over 400 Zimbabwean USAP students have excelled as students at America’s top colleges and universities. 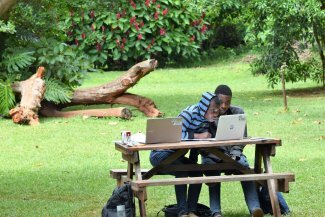 USAP students continue to excel in impressive measure, including recent USAP students named as Cambridge Gates and Rhodes Scholars, MBA, MD and PhD degrees earned and successful entrepreneurial initiatives started on the ground in Africa. The program was replicated to EducationUSA offices internationally on three continents. In January 2016, USAP left the Embassy to found a new home at Education Matters, a non-profit college access organization based in Zimbabwe and has also worked with smaller cohorts in Malawi, Uganda and Zambia in addition to continuing to support long-standing USAP Mongolia. At Education Matters, the USAP model evolved to work more intensively with students through a year-long program of residential “bootcamps” during school holidays and designed to empower and assist them throughout the application and orientation process. The refreshed USAP assists students to apply for funded educational opportunities internationally, not only to schools in United States, and works closely with families on the ground, visiting every student in their home. Education Matters’ first USAP cohort started studies in 2017 with over $5.8 million in scholarships. Thirty nine students from our 2017-18 cohort earned over $7.7 million in scholarships, which translated to $93 in scholarships for every $1 in our administrative budget. Why the USAP Community School? As our college access, vacation-based USAP program evolved, we realized that our students, though bright and determined, had some gaps in their learning and experiences. 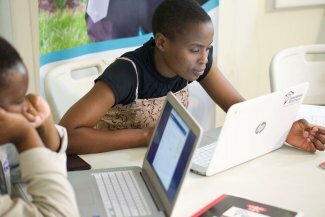 Although they excel in Ordinary and Advanced level exams, their reading, writing, computer and critical thinking skills need improvement and they do not have the opportunities to apply their learning or engage in research. They require a holistic education to adequately prepare them to hit the ground running as they integrate into global higher learning institutions, to tackle the complex problems of our society, and to exponentially increase their impact in our communities. The USAP community school will teach as much through the curriculum it offers as the principles it is run by. We envision a diverse faculty – USAP alumni prominent among them – that embody the values of integrity, equity and service that the school will strive to instill in its students. Students will benefit from a holistic education aimed at developing critical thinking, communication and analytical skills, and computer literacy – all important for a successful transition into a demanding university education. Alongside their GCE A’levels, students will participate in an intensive reading and writing English core and a school culture that honors and celebrates the equal dignity of every person and embraces difference as an opportunity for growth. The school will promote environmental consciousness and sustainable living, offering a holistic education that includes project-based learning, arts and community service engagement. We aim to help students think through not what do they want to be as a result of their education, but what problem here in Zimbabwe do they want to solve. We are in the crucial fundraising and building stages in 2019 so to open the school in January 2020 with the first class of 45 11th grade (Lower Sixth) students. Students will be selected for the same criteria that we have come to know as the ‘USAP spark’: outstanding academic talent, demonstrated leadership potential, a strong ethos of giving and an economically disadvantaged background that will not allow them to access high quality further education. By 2021, we envision nearly 100 students in the two grades. We will hire a diverse and open-minded faculty – USAP alumni prominently among them – who are eager to interact with determined, bright, engaged young people. The USAP Community School will extend tremendous educational opportunity to the most talented but economically disadvantaged students in Zimbabwe. By developing a generation of highly skilled youth who are dedicated to serving their communities and country, the school will make an impactful contribution to future of Zimbabwe. It is our vision to develop a generation of dynamic young leaders who are consistently committed to using their education to address challenges in their communities and to build a better Zimbabwe.